Keong Saik road is a row of low rise shophouses with a variety of eateries ranging from bars to coffee shops to hip cafes. Recently, there has been so much hype. There is The Library, 49 Seats, Bread and Hearth, Lola's Cafe and many more.. But who would have realized, amongst all these trendy places, you get to also indulge in some delicious tzechar? 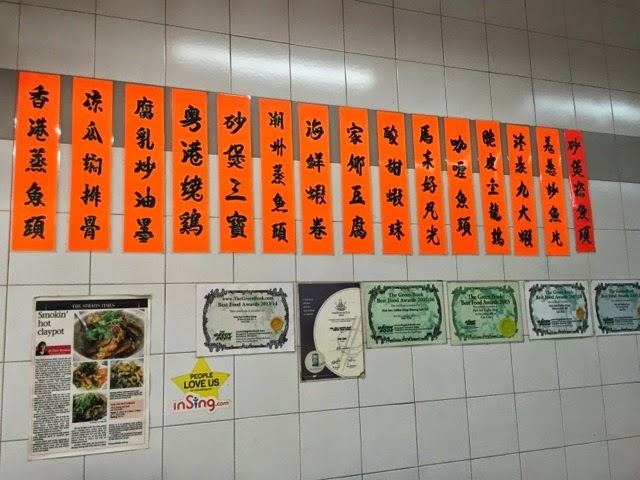 Kok Sen Restaurant's location is strategic and won't be hard to find. Just walk down the lane of shops from 49 Seats and you'd get there. 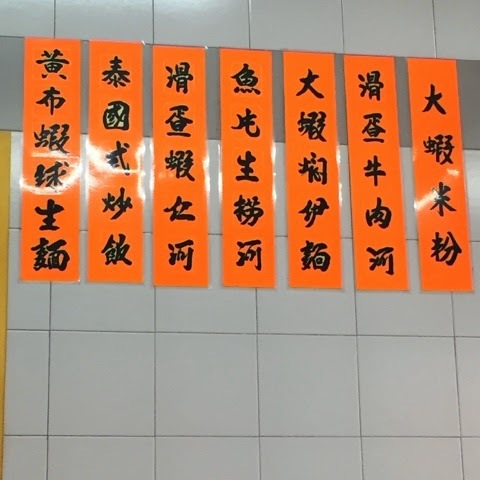 Specialties are all over the walls together with their awards from various local food experts such as Makansutra. Firstly, the stir fried frog leg.. 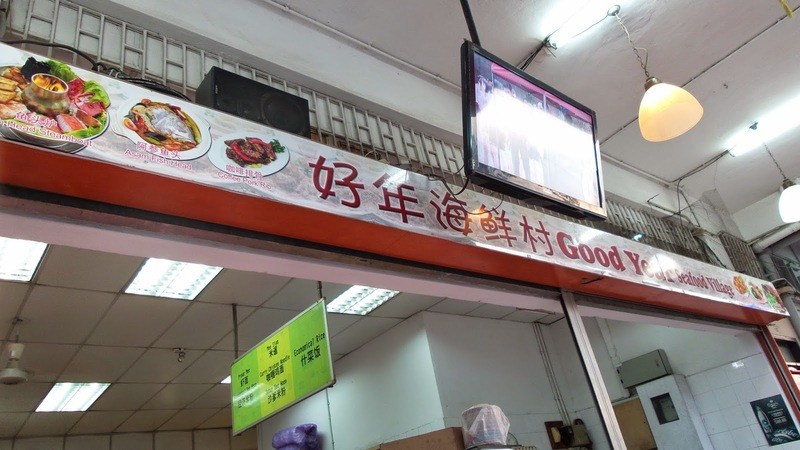 The meat was a little tough but overall, it's tasty and has lots of fresh ginger and spring onions. Good and bad but I still prefer the claypot kung po version with lots of sauce to go with the carbs. 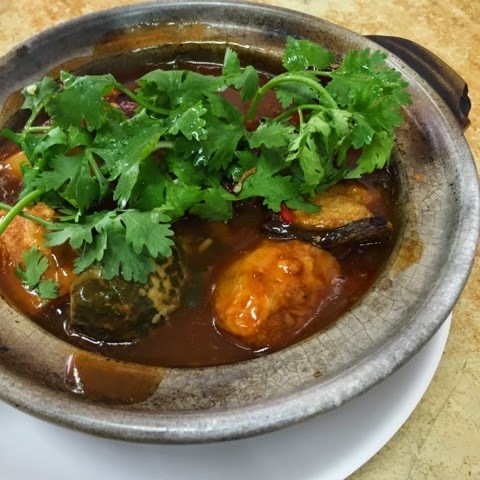 Claypot Yong Tau Fu is the winning dish. Why do I say so? With its succulent and homemade ingredients, the goodness is beyond words. 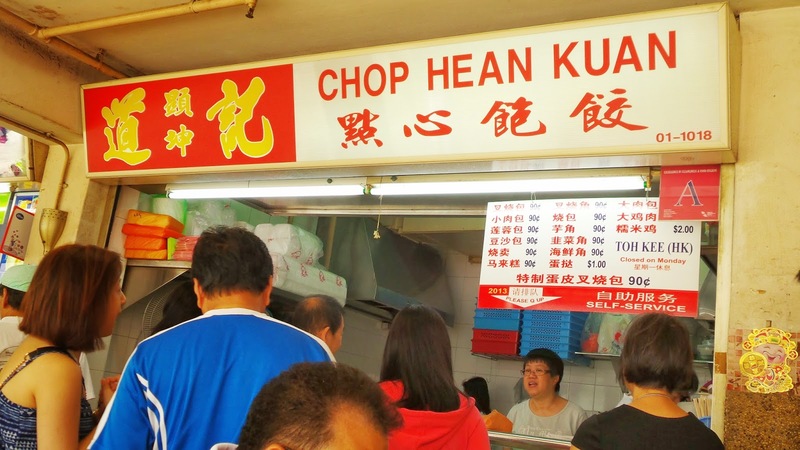 A bit like ampang Yong Tau Fu, there is the usual brinjal and beancurds topped with a generous serving of parsley. 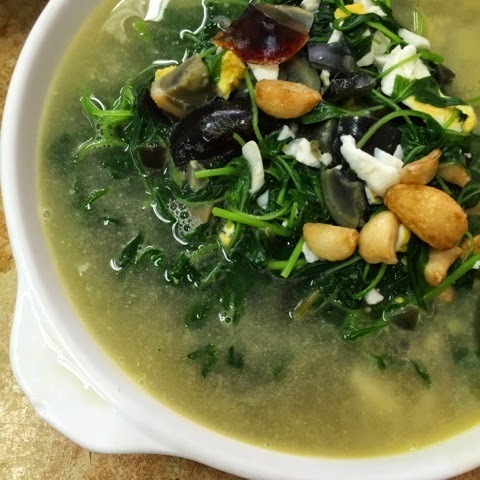 The stock is a little salty for the three egg spinach but nevertheless, delicious. 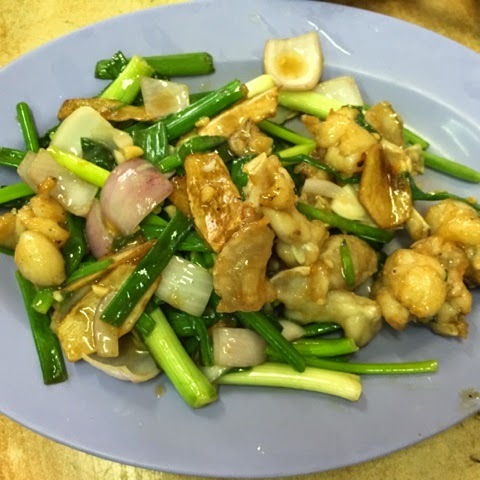 It's cooked with lots of fried whole garlic, which helps to detox the bad toxic in your intestines. Feels healthy even though the century egg can be high in cholesterol oops. Last but not least, the dish which we all came for.... BITTERGOURD BLACK BEAN FISH HEAD. 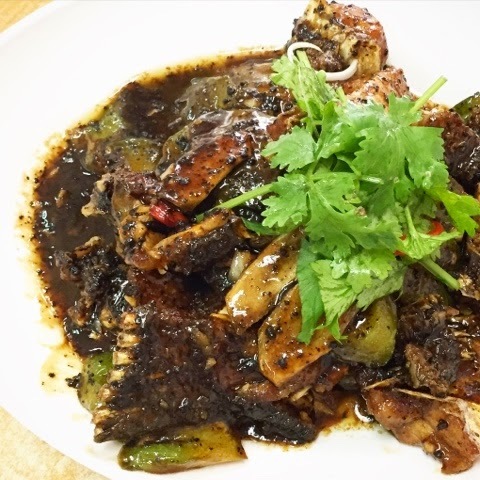 Chunky bitterguord and fresh fish head are cooked just right and simmered in black bean sauce to create the perfect dish. It is so flavorful and lips smacking good that we stirred every bit of the sauce into the fragrant rice. It's so addictive you might want a second order. Be there or be square. Just remember to go early as this place is really hot at all times!